Canada 150 at The Blue Mountains Public Library is in full swing. January’s theme is Champlain's Footsteps. Discover winter travel in the Blue Mountains four hundred years ago by checking out snowshoes on your library card. 3 Day loans, we have adult and children's sizes. All snowshoes will be kept at the Craigleith Heritage Depot, but you may place a hold on a pair and have them sent to the L.E. Shore Memorial Library branch. Thank you to Scenic Caves Nature Adventures for generously loaning a couple of pairs to jump-start this special winter offer. 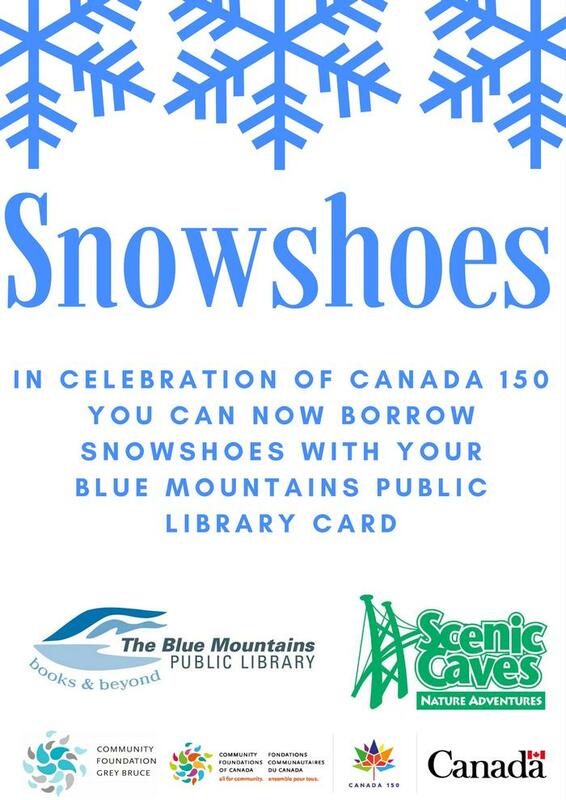 Snowshoes will be available the entire winter season. See you on the trails! Please note: you will have to sign a waiver. Youth, under the age of 18, are welcome (and encouraged!) to borrow but they must have a guardian's signature.